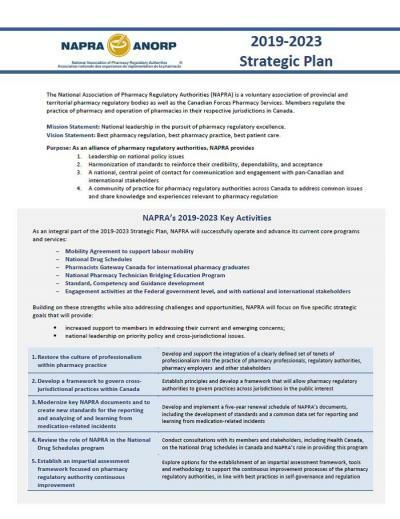 The National Association of Pharmacy Regulatory Authorities (NAPRA) is a voluntary association of provincial and territorial pharmacy regulatory bodies as well as the Canadian Forces Pharmacy Services. Members regulate the practice of pharmacy and operation of pharmacies in their respective jurisdictions in Canada. Mission Statement: National leadership in the pursuit of pharmacy regulatory excellence. Vision Statement: Best pharmacy regulation, best pharmacy practice, best patient care.